When playing the Euro Truck Simulator 2 (ETS2) Game you will see the Navigation Rearview, it aims to help make it easier for you to drive. The rear view mirror is useful for you to look back, very useful when going back or parking so as not to crash. While navigation is useful for viewing routes / maps, speed, messages, calls, and so on. To eliminate Spio you click the F2 button on the Keyboard, as well as to reactivate the Rearview Mirror. You will see the mirror disappear on the game screen. Meanwhile, to eliminate your navigation, just press the F3 key on the keyboard. The same is for reactivating Navigation. 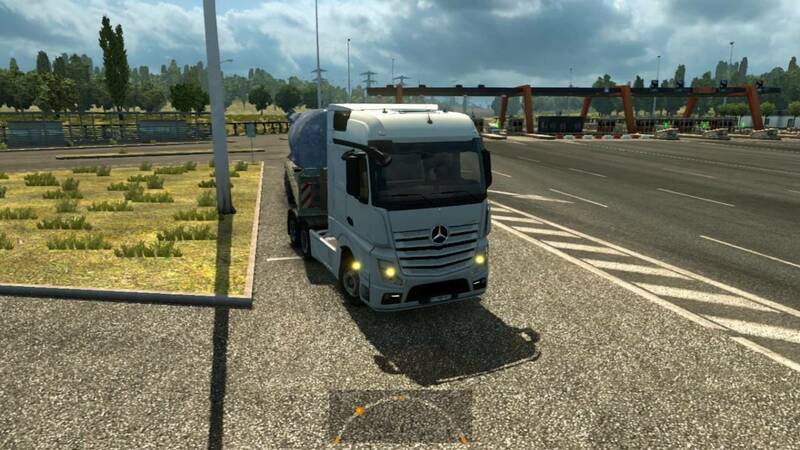 That's how to remove mirrors and navigation in Euro Truck Simulator 2 (ETS2) games on PC-Laptops. May be useful. Thank you for visiting Next Siooon (NS). 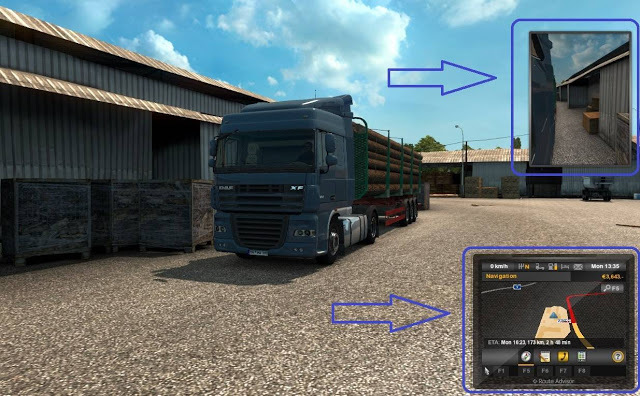 Keyword: Remove Rearview Mirrors and Navigation in Euro Truck Simulator 2 games (ETS2), Guide to Install, Information on Remove Rearview Mirrors and Navigation in Euro Truck Simulator 2 games (ETS2), Remove Rearview Mirrors and Navigation in Euro Truck Simulator 2 games (ETS2), Remove Rearview Mirrors and Navigation in Euro Truck Simulator 2 games (ETS2), Install, Game and Software on Laptop PCs, Remove Rearview Mirrors and Navigation in Euro Truck Simulator 2 games (ETS2) Games and Software on Laptop PCs, Guide to Installing Games and Software on Laptop PCs, Complete Information Remove Rearview Mirrors and Navigation in Euro Truck Simulator 2 games (ETS2) Games and Software on Laptop PCs, Remove Rearview Mirrors and Navigation in Euro Truck Simulator 2 games (ETS2) Games and Software on Laptop PCs, Complete Guide on Remove Rearview Mirrors and Navigation in Euro Truck Simulator 2 games (ETS2) Games and Software on Laptop PCs, Install File Application Autorun Exe, Tutorial Remove Rearview Mirrors and Navigation in Euro Truck Simulator 2 games (ETS2) Autorun Exe Application, Information on Remove Rearview Mirrors and Navigation in Euro Truck Simulator 2 games (ETS2) File Application Autorun Exe, Pandua Tutorial Remove Rearview Mirrors and Navigation in Euro Truck Simulator 2 games (ETS2) Autorun Exe File Application, Remove Rearview Mirrors and Navigation in Euro Truck Simulator 2 games (ETS2) Autorun Exe File Application, Remove Rearview Mirrors and Navigation in Euro Truck Simulator 2 games (ETS2) Autorun Exe File Application with Pictures.